Plenty of trade buzz around the top picks in this year's draft. Stay tuned throughout the day. Round 1, Pick 1. New Jersey - Wanted to target defensemen in this draft, and Cale Makar and Miro Heiskanen are rumoured to be of interest. But if they don't trade down, they'll almost certainly take Nico Hischier or Nolan Patrick. 2. Philadelphia - Listening to offers. Vegas are rumoured to be interested in this pick in hopes of landing Nolan Patrick. If they stay put, Philly will be happy to take whichever of Patrick or Hischier is left on the board. 3. Dallas - Lots of chatter around this pick. Vancouver, Dallas and Anaheim are all possible trade targets. After a young defenseman or forward. 4. Colorado - Some speculation they are hoping to land Kale Makar. Could they move up to ensure they get him? 5. Vancouver - Center seems to be the priority here. Talking to Dallas about #3, but if they stay put they have a shot at one of Gabe Vilardi, Casey Middlestadt, Cody Glass or Elias Pettersson. 6. Vegas - Rumours suggest Vegas may look to trade up as high as #2 using some of their extra picks. They also have a surplus of defensemen they can dangle on the market. 13. 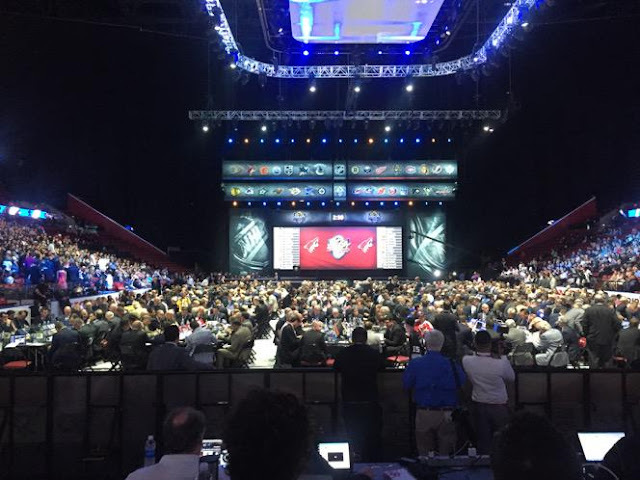 Vegas (from Winnipeg) - There is some talk the Knights may look to package this pick or the one below to move up from the #6 pick in the draft - possibly to pick #2. 15. Vegas (from NY Islanders) - See above. 29. 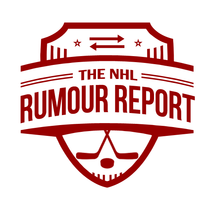 Dallas (from ANA) - Rumoured to be part of a package to acquire a defenseman. Vancouver's Chris Tanev is one possibility.